Path down fields from Norwood to Church Lane. 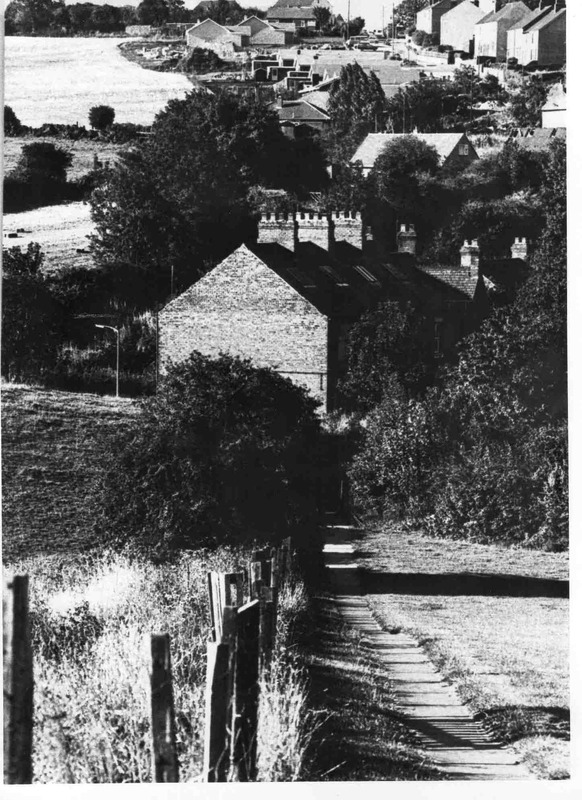 Ashley Lane in distance at top. Photo courtesy of V. Hopkinson. This was a fantastic sledging track in the cold winter of 1947! Getting round the corner half way down was quite difficult – one sometimes finished up going into the field. Also, avoiding the fence at the bottom was tricky. Unfortunately, the police came and stopped the fun.